Look at that. All that snow buildup from a couple days ago, just washed away! It was raining all day yesterday. And while I usually can enjoy a good rainy day, I prefer to do it from bed. In my pajamas. Cuddled up with a good book. And some hot tea. Not on a school day, when I get to drive through the puddles and slush and have to sit through Trigonometry. Ah well. 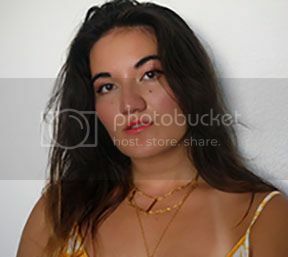 I still found a way to take outfit pictures for you! Haha, I actually really like this look too. It came to me right when I was about to go to bed, so of course I had to quickly scribble it out before I forgot. The hints of maroon (my favorite winter color!) definitely made the outfit in my opinion. 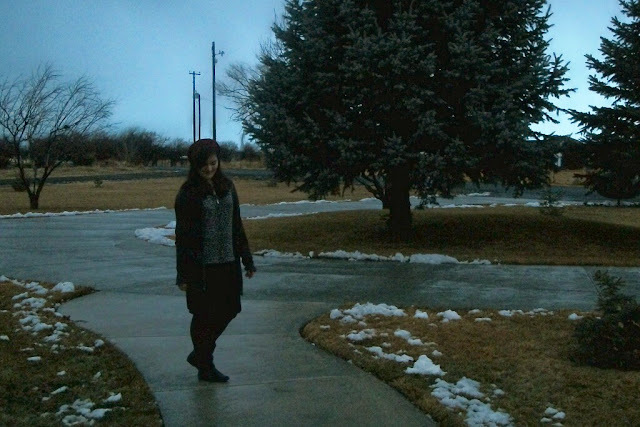 Then I added some socks to peek out of my water-proof boots, and I was good to go. So I went to Pac Sun a couple days ago, only to find they were having massive clearance on the entire store! Turns out, they're shutting down the place. Which is really disappointing to me, because I just love the style they offer and I've found some really great pieces there. I wasn't too sure of them at first, so I ended up leaving without them. However, they kept popping into my mind and all the outfits I could wear with them. I have cheetah flats, but I feel like everyone has a pair of those. I prefer having something in a different style. So yesterday, I stopped by the mall again, hoping they still had a pair left in my size. Guess who got the very last pair that just so happened to be a size 9? Haha, and yes, I have big feet. But who cares when they're covered with amazing shoes like these? I'll have to wear them out once the pavement dries up. Don't want these getting damaged by all the water outside! Hope you're having a great Friday. Thanks for all the encouraging comments by the way. I love reading each one of them! I love your boots, nice outfit dear! The leopard print oxfords look super cute, you should totally get it! Love the leopard top you´re wearing too! 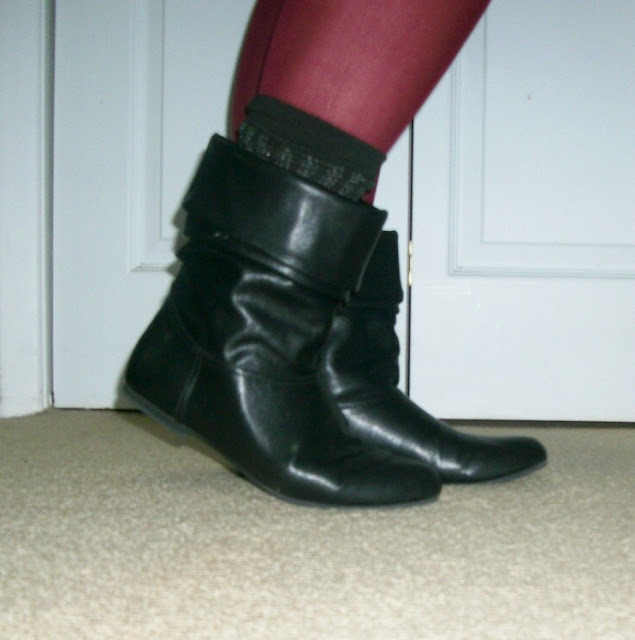 Those boots are a great find! 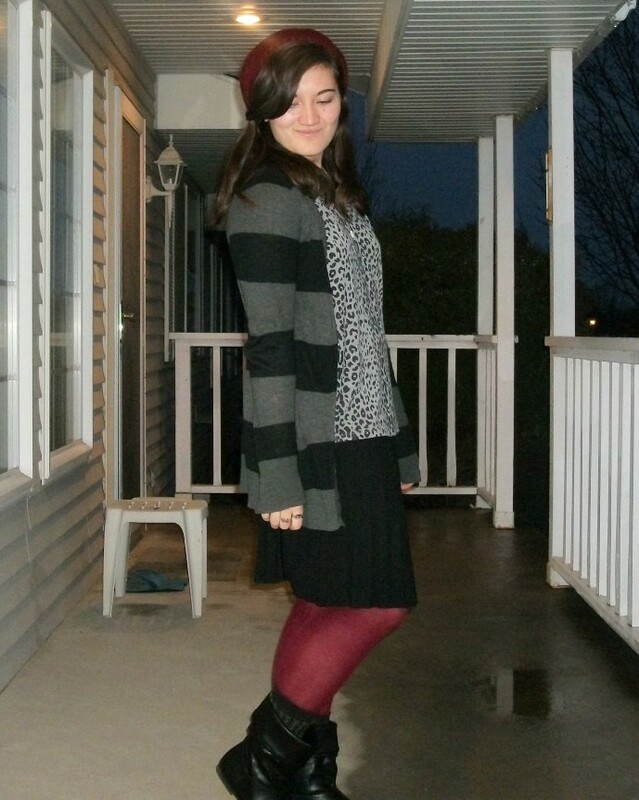 I love how you paired them with the socks and red tights. This is adorable I really like those leopard shoes, too. We don't have PAC sun here. I'd probably own those if we did. 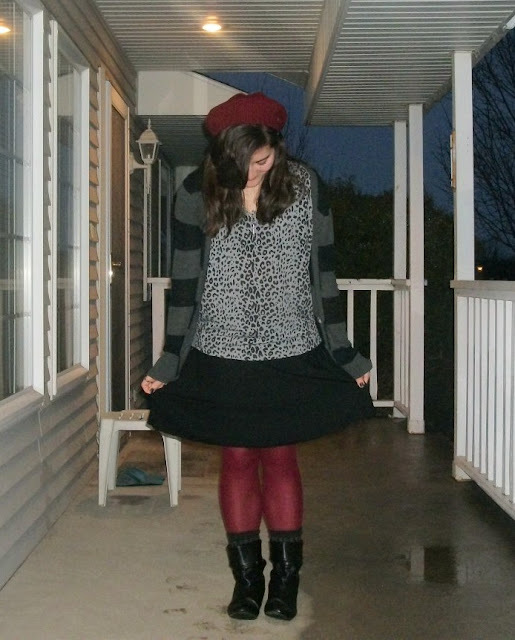 This is my favorite look of yours - love the leopard top and colored tights. Your hat is super cute too! I know, it's gloomy and rainy here too! At least you still look darling!! Hey! Just discovered your blog. 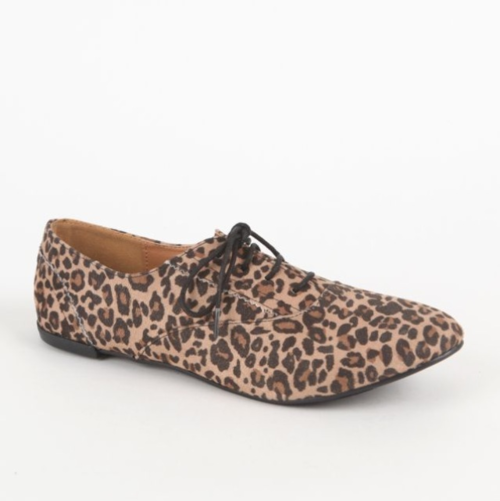 Loving those leopard flats! love the outfit and so many great accessories! Love the pop of burgundy! youre always so stunning! love the outfits! Hi!!!! Nice your look!!!! 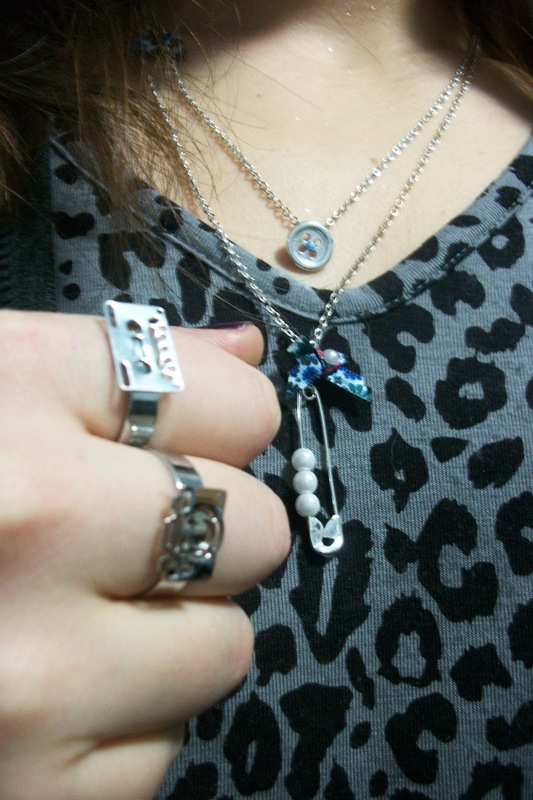 I like your accessoires!!! I invite you to participate in competition every week where you can win my last Lookbook. Order to participate competition every week http://www.lookbooks.fr/concours, you should add the logo in the Home page or simply do link with me. When it's done you tell me in mail and you can participate competition every week!! !